Riding the successful heels of Turbo Truffle, XTZ decided to up the ante with a new brand featuring herbs and natural stimulants. They hired Train of Thought to help with naming, logo design, package design and promotion. 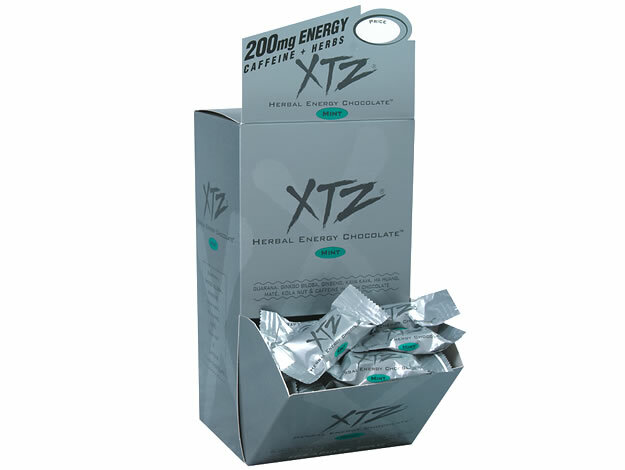 The result was a successful upper tier gourmet chocolate we dubbed XTZ Herbal Energy Chocolate. The brand proved so successful, we extended the line to include mints and syrup.